In the prehistoric period, modifications to the building ground plans that affected size, and therefore floor space, indicate that the needs of the households diverged. Such alterations are probably related to the sizes of the communities and the intended uses of the buildings, i.e. social factors, such as family size, functionality related to assemblies, social and economic hierarchy, and collective requirements with respect to housing, production, or storage facilities. Occasionally, the largest buildings at a site featured special, exclusive architectural design elements which set them apart from other structures in the area. The difference between monumental buildings and regular residential structures was not limited only to area of occupation or to quantity of used building materials. 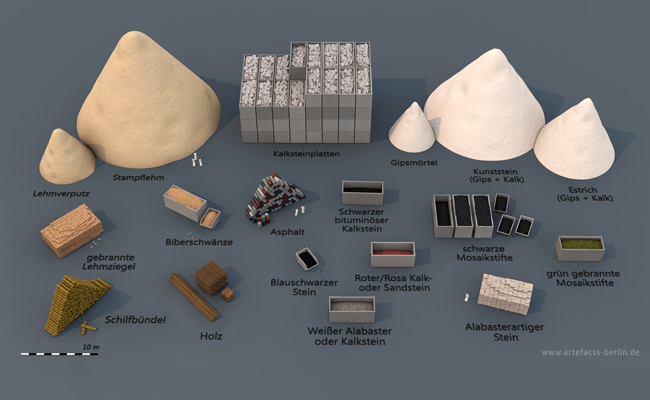 The variety and value of the materials were also key parameters, as Sebastian Hageneuer and Felix Levenson were able to demonstrate with regard to the so called Steinstiftgebäude in Uruk, using new material calculations based on 3D visualisations (paper held at the conference Groß Bauen. Großbaustellen von der Antike bis zur Gegenwart , BTU Cottbus, Oct. 28th – 30th, 2015). Clearly, the creation of this building involved a broader social context. It was only one of Uruk’s numerous outstanding buildings, of which some were significantly larger and very elaborately decorated. The phenomenon of monumentality at Uruk was studied by Felix Levenson in his PhD thesis “Über Größe – eine Analyse von Groß-und Sonderarchitektur des 4. Jahrtausends v. Chr. aus Uruk-Warka/Irak und ihr Einfluss auf die Gesellschaft“. In this work, quantifiable criteria for the understanding of monumentality were established. The PhD project has been awarded with the Elsa-Naumann scholarship by the federal state of Berlin. Another example is the study of central urban sanctuaries in Southern Mesopotamia. In addition to the archaeological evidence from such large sanctuaries, this collaboration with Topoi project B-2-2 also focused on the written evidence preserved in cuneiform texts about mathematical and administrative matters. Combined with the accessible administrative data, the vast amount of archaeological information about the used materials as well as the necessary work processes for such building projects sanctioned an estimation of the scope of such projects. Accordingly, numbers of required workmen, salaries, and overall budgets could be roughly assessed. Compared to average state finances, the budgets for such projects nevertheless turned out to be reasonable. However, accurate management of the construction sites was one of the important challenges. Their monumentality, highlighted through design, large amounts of building materials, and use of rare or eye-catching materials, were part of the state presentation. A third case study represents a different area and period. Baalbek is famous for its well preserved Roman temples and in particular, for the extraordinary size of some stone blocks used during the high Imperial construction phase. The stone blocks were cut in a quarry ca. 1 km away from the site. Ongoing excavations there were complemented by a field project under Topoi fellow Jeanine Abdul Massih, which focussed on technical aspects concerning the transportation of the blocks to the temple site. 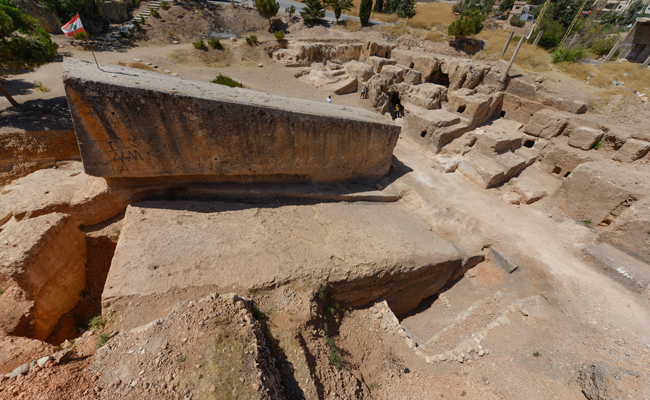 Excavations not only revealed a new, even larger limestone block measuring 19.6 x 6 x 5.6 m (weight 1650 tons), but also traces from heavy moving equipment. No matter how impressive the construction in Baalbek may be to its visitors, compared to the Roman Imperial architecture in Rome itself its monumentality remains relatively moderate, as has recently been revealed and discussed in detail in the Topoi workshop Prestige und politische Intention von Großbauwerken im Zeitalter des Hellenismus und der römischen Kaiserzeit (Rome, Sep. 24th/25th, 2015). 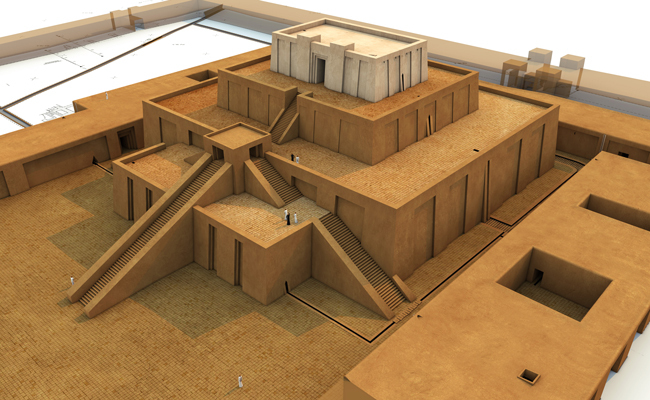 On a more regional scale, however, the investment into the construction of the temple manifestly represented one of the most outstanding projects managed by the young colony Berytus. At the same time it made an important political statement towards older political entities. Beyond the presentation of results in publications and at international conferences, the project´s work has been discussed in the media.